Have you been wondering how to become a gestational carrier in Utah? If so, you have come to the right place. The gift that a surrogate mother provides for individuals who cannot conceive naturally is a unique one. Our obligation is to help you remember this time as one of the best experiences of your life. If you are curious about how to become a gestational carrier, it is critical that you understand precisely what your role will be. You can become pregnant through in vitro fertilization, or IVF. An embryo made from sperm (of the father or a donor) and an egg (from the mother or a donor) will be implanted inside your uterus after fertilization. The process of transferring the embryo to your uterus is swift and painless. Our responsibility as a gestational surrogate agency is to help you through each step of the process, starting with your initial consultation, moving through fertility and pregnancy, then to delivery and beyond. Some organizations offer “open” programs in which you choose the couple you work with. Others use “closed” programs in which surrogates and parents are matched by staff. The compensation you’ll receive for your time as a surrogate mother is generous, but varies widely depending on your surrogate experience, the existence of multiple births, your willingness to provide breast milk, and logistic variables such as travel costs (if required) and reimbursement for lost income should you go on bed rest (as well as a stipend to pay for housekeepers and day care for your children). You should be between the ages of 20 and 40. You cannot be on any kind of state welfare or other financial aid. You must have a trustworthy car as well as a valid license. If you have been pregnant before, the pregnancies must have been without major complications. You must have a clear police record. You must have a stable living environment, which includes your parents, other relatives, and your spouse. Your life should be stable so that you minimize stress, not only on the child you will carry, but also on yourself as a surrogate. If you meet these minimum requirements and are still wondering how to become a gestational carrier, you must go through an interview phase and, potentially, a medical evaluation. Reputable agencies arrange for thorough physical examinations of your uterus and cervix, as well as a battery of blood tests to determine whether you are a solid candidate. These tests ensure your safety throughout the surrogacy process and maximize the possibility of a successful return on investment for the baby’s parents. We don’t want to put any surrogate mother in danger by approving surrogate applications from those who have conditions that make embryonic attachment unlikely or who have had life-threatening conditions during previous pregnancies. We also want to deliver healthy babies to our clients—the mother and father. As part of the interview process, we will ask you detailed questions. Other health-based questions are likely to surface, such as whether you smoke or use tobacco, whether you drink alcoholic beverages, whether you use recreational drugs, and whether you are on any long-term maintenance prescription medications. An important part of knowing how to become a gestational carrier involves adopting healthy habits that make you a suitable candidate for carrying a baby. We’ll request medical records pertaining to your previous pregnancies and might ask for records regarding surgeries you have had in the past. We also inquire about family medical histories for such genetically transmitted conditions as cancer. We ask about your individual fitness habits, too. If you want to learn more about how to become a gestational carrier, contact our staff for additional information. We screen our applicants carefully to ensure a proper match for our client parents. 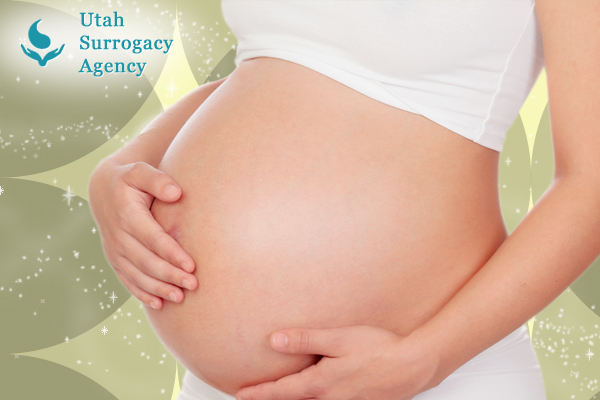 However, the number of couples and individuals seeking surrogacy means that we are always looking for strong prospects. We hope that this guide has helped on how to become a gestational carrier. Explained: How Does Surrogacy Work?